The 'Godwin' star, Korede Bello is in town for the Fly Fest that will be held today (Sept 15) at the Hockey Grounds celebrating teen voices. The Nigerian star will be joined by local stars that include Navio, Geo Steady, Lydia Jazmine, Levixone and Beenie Gunter among others. The damage to the pocket is 5k. Other than these artists entertaining the teens as they wind up with their holidays, there will be lots of games being played, rap and dance competitions from the teens. 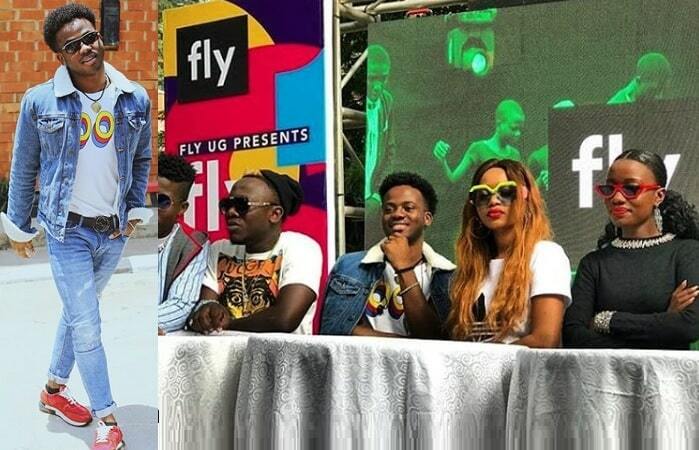 Mavin Reords signed artist, Korede Bello, 22, has been quoted on several of his interviews on local tellies saying that he is looking for love and that he will not hesitate hooking himself with a Ugandan babe if he finds love. Hint: He wants a gal that makes him laugh...! The Naija star will perform his 'I'm into You' song that he did with our very own Geo Steady, Godwin, Butterfly, Work It and Romantic among others. 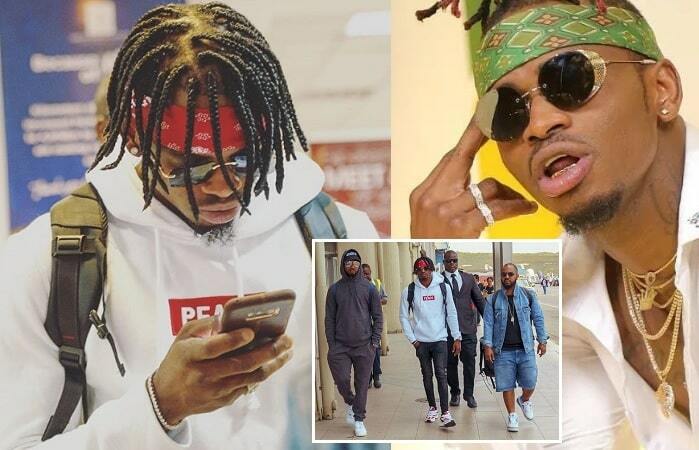 Diamond Platnumz on arrival in Entebbe and inset is his crew that comprised of his official DJ Romy Jons, bouncer and manager, Sallam.